Let us all shine in the light! The darkness of the closet shall no longer imprison us! This is a shot of the pride beacon light art sculpture taken in a dark room. Unfortunately, it is extremely difficult to take pictures of light art. The dynamic range of a camera is no where near as great as that of the human eye. 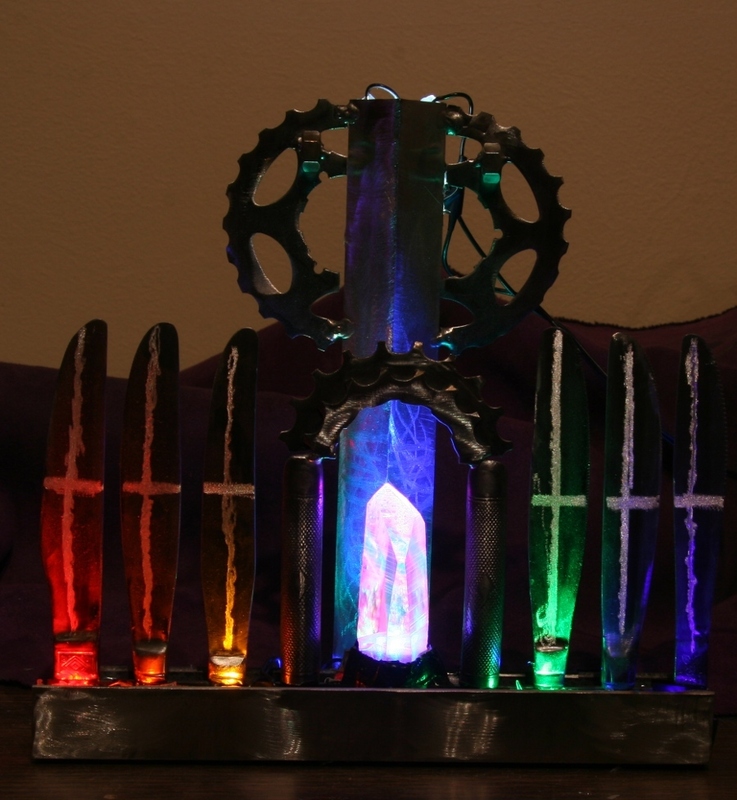 The crystal is much richer in color than as seen here in this picture. This piece was sold at a charity auction and is now in a private home.